Hugely practical larder cupboard with wonderfully spacious food storage space for boxes, tins, vegetables, spice jars and all the goodies you can fill it with. Solid pine cabinet-built construction (ie not flatpacked) with espagnolette locking system. The larder cupboard is solid pine throughout and can be painted to order in one of our 23 delicious colours. 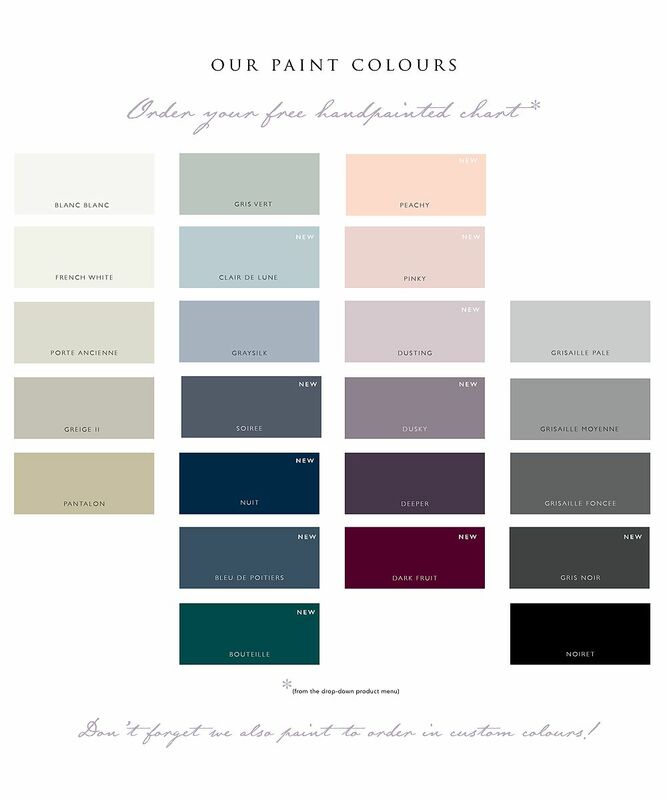 We have extended our own colour ranges to include a choice of 23 colours which are included in the price - if you would like to receive a free handpainted swatch card - please select this option from the 'product options' menu below. Example shown painted in Grisaille Foncée, with Mellow Pine interior, this is a two colour finish. Two colour paint finish - 10% surcharge, please contact us for further details. Tall furniture: although these are designed with stability in mind, for additional safety, we recommend fixing to the wall to prevent toppling. Please select your options from the drop-down menu below. You save £-1,495.00 that's 0.00% off!